Now, Holmes, suppose a gardener has found the ideal site but blooms are still missing? Good question, Watson. Now we look down for the next clue. Soil! It must be rich and humusy. 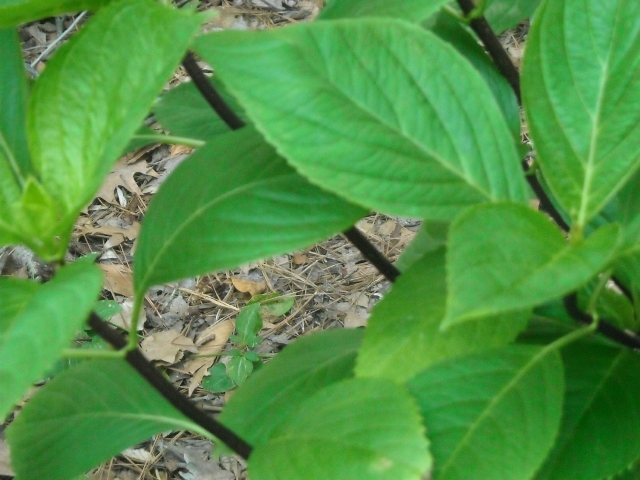 Hydrangeas grow where soil is naturally mulched and composted. 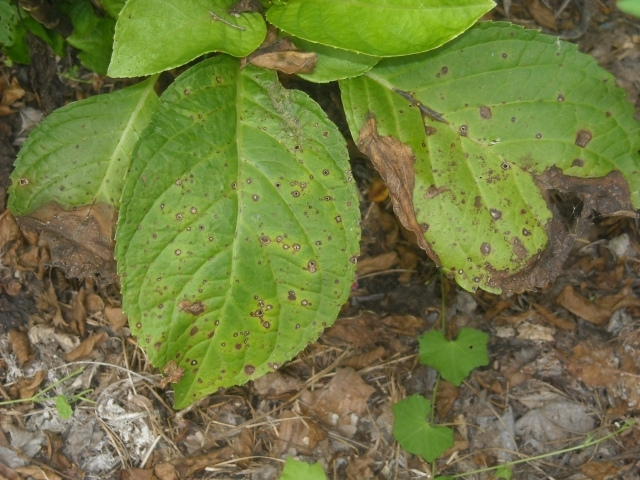 All kinds of decaying matter from their woodlands, even their own big leaves add to the soil. Think of it, Watson, this natural process has been going on for decades, centuries. But gardeners don’t want to wait decades to see results, Holmes. They want to live to see their blooms. Can’t we move more quickly? Absolutely, Watson. If you’re starting with soil that’s compacted, or stripped of topsoil, the best thing to do is prepare a large area. One may only be planting a single hydrangea, but surely more will follow. Loosen soil by rototilling, then work in lots of organic matter. Or, you may want to raise the bed a few inches to eliminate some digging and counteract poor drainage. Potting soil can be used but it gets expensive. Some gardeners use “cotton dirt” in areas where cotton crops are grown and mix it with some builder’s sand. 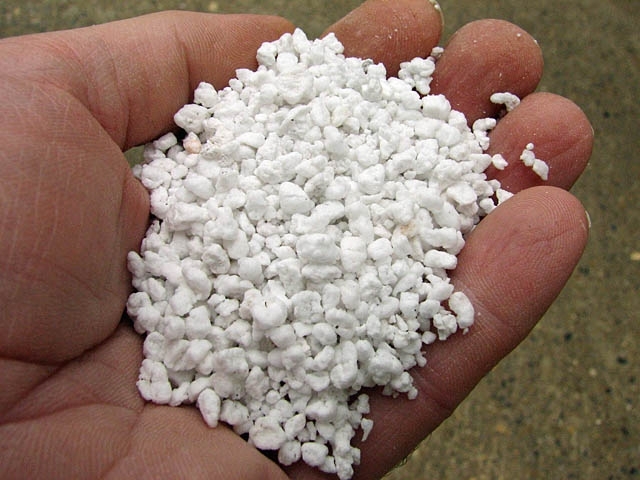 If drainage is suspect, you can improve it by adding perlite to the bed. Whoa, Holmes, this sound like backbreaking work. What if I only want one hydrangea? Ah yes, if you are only planting a single hydrangea, and soil and drainage are adequate dig a shallow but fairly wide hole. 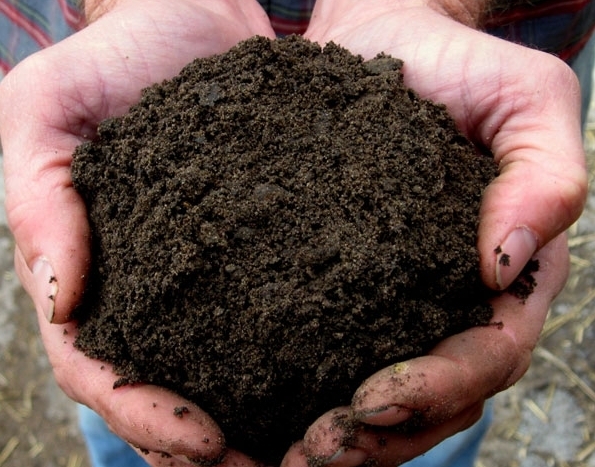 Mix in a good amount of organic matter and set the plant at the depth it was previously growing. 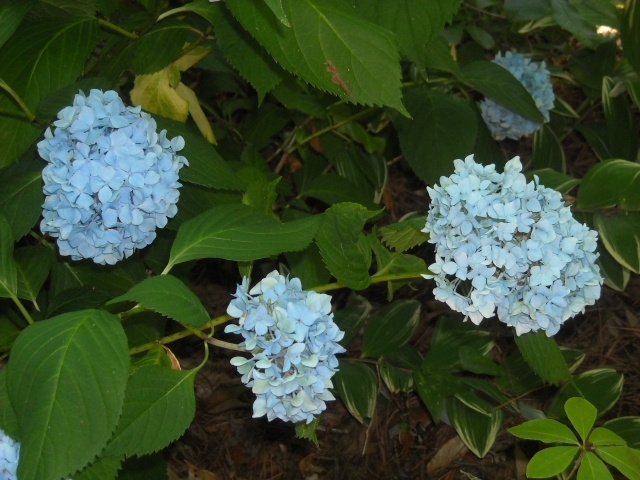 If drainage is not good, plant the hydrangea in a very wide mound of good soil. This will avoid creating soup bowls in heavy clay soil. Remember, though, a single plant sandwiched into a prepared hole with poor soil around it will probably not do as well as one in a prepared bed. And is that it, Holmes? Then you’re done. Absolutely not, Watson. Water your new plant well immediately after it goes into the ground. Then be sure the new plant does not dry out. But the soil, Holmes? Are we finished with the soil? We are never finished with the soil, Watson. Next we must consider mulches. 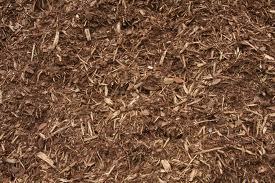 A proper mulch will keep the ground cool, conserve moisture, and when it breaks down, the long process of creating soil will begin. So we should pile it on, then. No no no! No more than 3 or 4 inches deep, and never touching the stems. It can damage them. 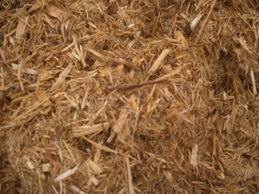 In warm humid climates, mulch can break down quickly. By mid-summer, if a gardener is ambitious, another layer can be added. Exactly what kinds of mulch are we talking about, Holmes? Shredded (or not shredded) leaves, hardwood mulches, ground pine bark break down fairly quickly. Peat moss can form such a hard crust when dry that water runs off. 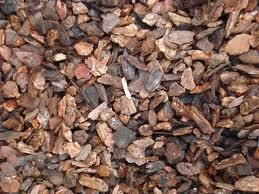 A coarse mulch, like pine nuggets won’t break down easily to build soil. 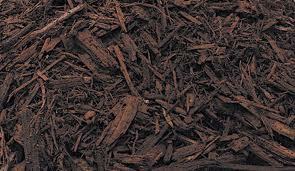 Pine straw is slow to break down and adds little humus to the soil, but when it is mixed with dried leaves, it remains to protect the soil after the leaves break down. I favor the mulch you find on lawns and the forest floor: fallen leaves. They are free and they can be raked easily onto a bed each fall. By late spring they are settled in and barely noticeable under shrubs that are leafing out. By autumn they are crumbling and you can add a new supply. Dead leaves, Holmes? Now really. They are rather remarkable, Watson. They deter weeds, keep soil cool and moist, and they crumble easily. 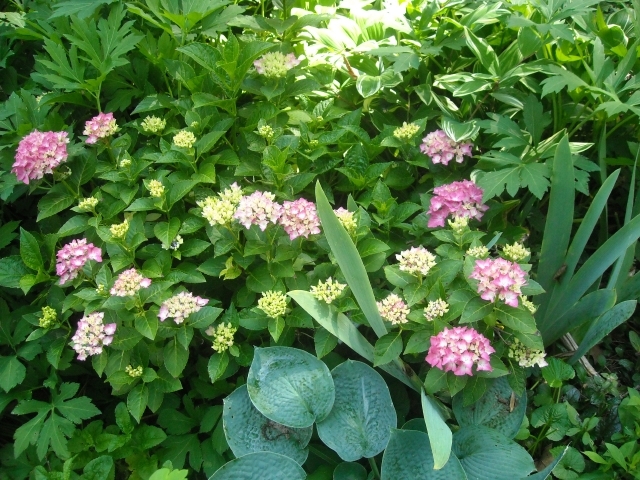 In time, they build rich woodland soil that keeps hydrangeas healthy. And after several years, you can forget to fertilize! The soil will be doing all the work. Well, that’s good to hear. It seems one is never finished, Holmes. Mulching in the fall and watering in the summer. That is true, Watson. But mulching in spring or fall means less watering in the summer and a healthier plant all round. That means a better chance for buds low down on old wood to become blooming stems if primary buds are damaged by weather. Perhaps I am asking too much, Holmes, but is there any way, other than wilting, that you can tell whether a hydrangea is unhappy? Look closely at the leaves. Sometimes a blast of hot dry weather can cause them to curl or brown. That simply means the plant is complaining about a particular event. Purple spots are signs of stress. They’re caused by a fungus, and they’re usually not serious, but they are not attractive. The key is to notice when they occur. If they occur late in the season on healthy plants, it simply means that the plant is tired of what the summer has dished out. If you see them early in the season, you are looking at an unhappy plant. Spots on a new plant may mean that it needs more time to settle in. 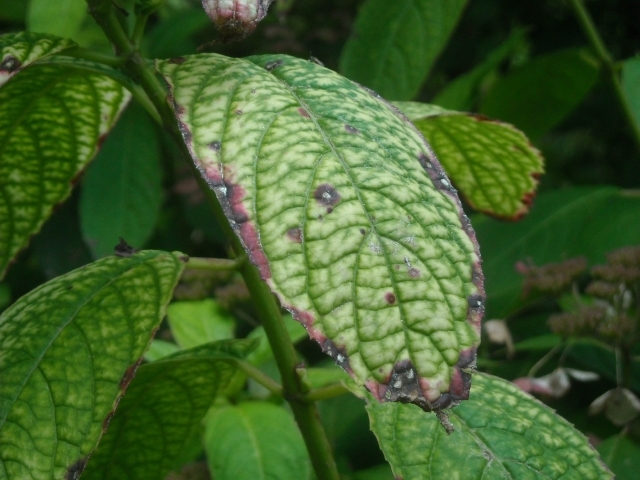 If you see spots on an older plant, look for clues that would tell you why it’s unhappy. Can one spray for the purple spots, Holmes? Best to ignore them. You can’t spray them away. You will know if a new plant is happy if, each year as your soil improves and the plant grows, the spots develop later in summer or disappear entirely. If spots persist and weather is not unusually hot and dry, consider possible causes among the clues we discussed — location, soil, mulch — and act accordingly. 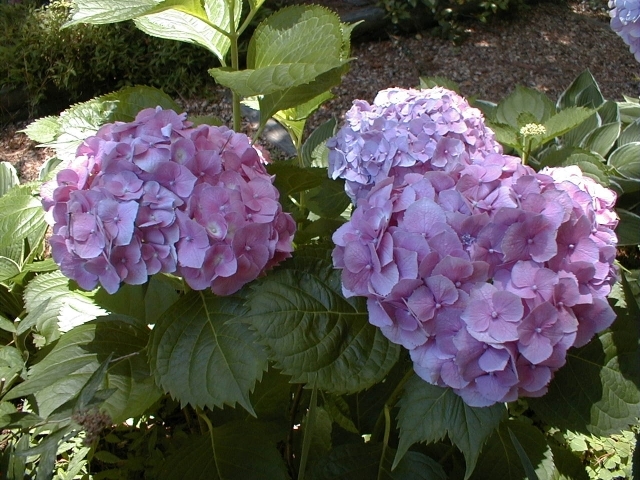 You may be interested in these other posts about hydrangeas.